THE B-MOVIE NEWS VAULT: Hammer Horror and Shaw Brothers Thrills Collide in Scream Factory's Latest Blu-ray Release! Hammer Horror and Shaw Brothers Thrills Collide in Scream Factory's Latest Blu-ray Release! 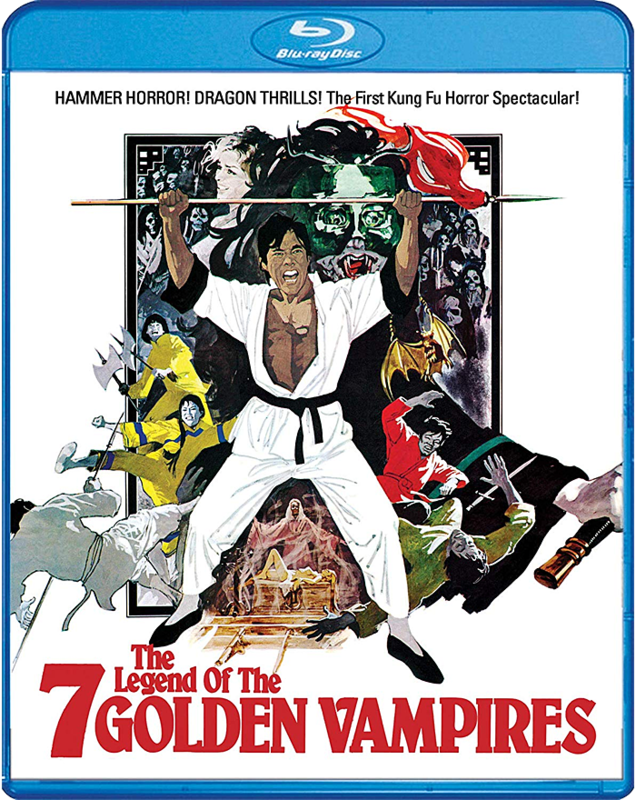 BLACK BELT VS. BLACK MAGIC IN "THE LEGEND OF THE 7 GOLDEN VAMPIRES!" I stumbled across THE LEGEND OF THE 7 GOLDEN VAMPIRES decades ago when I purchased an Anchor Bay double feature disc on a whim, and it blew my mind! And I count myself very fortunate to have watched a rare 35mm print of its shorter alternate cut, THE 7 BROTHERS MEET DRACULA! Needless to say, I'm a fan of this film and naturally Scream Factory's new Blu-ray disc is a definite must-have for yours truly! Synopsis: Professor Van Helsing (Peter Cushing) and Count Dracula (John Forbes-Robinson) meet again in this spectacular kung fu horror thriller set in the village of Ping Kuei. After learning about the seven golden vampires of the village, Hsi Ching (David Chiang), Vanessa Buren (Julie Ege), and Mai Kwei (Szu Shih) offer to guide Van Helsing and his son to Ping Kuei to free it from the curse of Count Dracula. Throughout their journey, the group encounters several unwanted attackers until they arrive at the golden vampires' derelict temple, inhabited by Count Dracula. In the temple, Van Helsing and the count begin a fearsome battle to the death – an ultimate clash between good and evil! Presented here for the first time in high definition is Hammer's original uncut version. It was released in the US in an edited version called The 7 Brothers Meet Dracula which is also included here in high definition as a bonus feature. NEW! 2K Scan Of The Original Film Elements! NEW! Audio Commentary With Author/Film Historian Bruce G. Hallenbeck! NEW! When Hammer Met Shaw – An Interview With Actor David Chiang! NEW! Kung Fear – An Interview With Hong Kong Film Expert Rick Baker! How can you NOT want this Blu-ray Vault Dwellers?! Two cuts of the film (remastered in 2K!) plus newly created extras?! Sign me up! 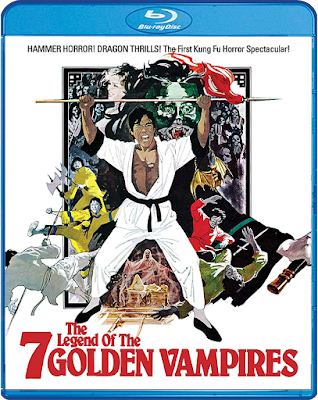 THE LEGEND OF THE 7 GOLDEN VAMPIRES is now available wherever Blu-rays are sold and should cost between $24 - $27! 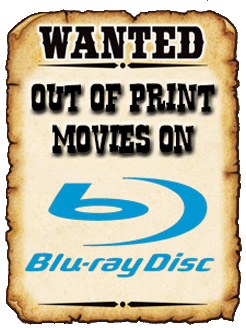 Order a copy now from AMAZON, BULL MOOSE, DIABOLIK DVD, or directly from SHOUT! FACTORY.